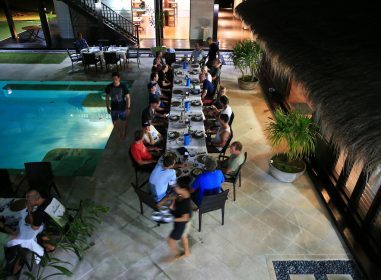 The “Australian Lawyers Surfing Association” have been calling Resort Latitude Zero home for the last week. The boys from ALSA make this an annual event and this year have “Swilly” to capture all the action. Here at the resort we often have business groups, clubs and organisations book the resort to have business holidays, conferences and sometimes just awesome holidays. If your looking to have a surf business function with a difference enquire now.